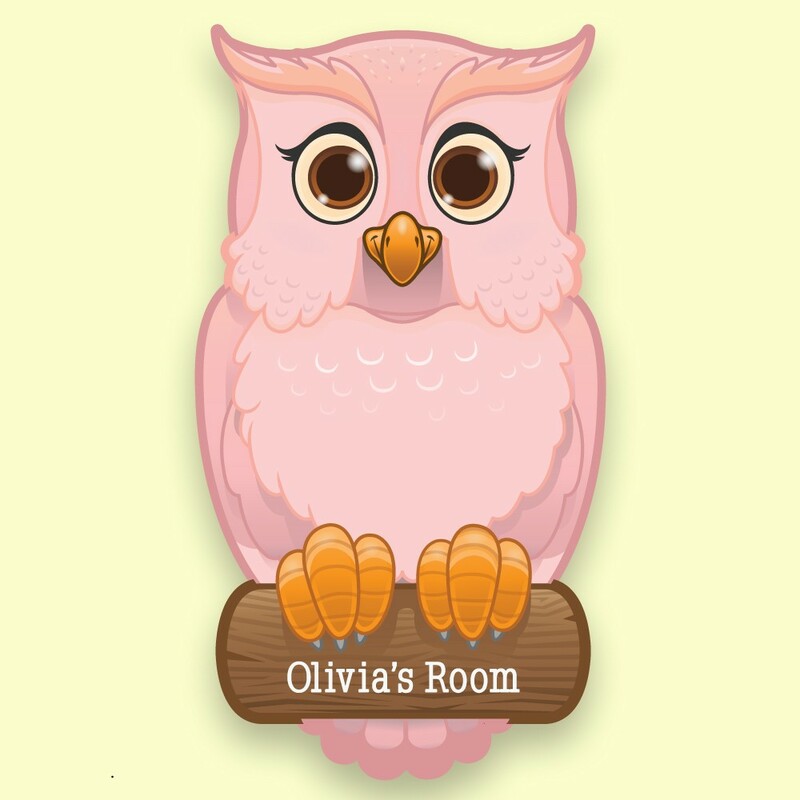 No doubting that this is a little girl's Bedroom when you see the lovely little Bespoke Pink Owl Door Plate sitting proudly on the Nursery or Bedroom Door. Initially hand illustrated by a Forever Bespoke artist before being UV printed onto 3mm opal perspex and laser cut to its unique shape. Because your little girl's doorplaque is made to order, we can add any first name up to 12 characters. Measures approx 10.7cm x 20cm and supplied with sticky pads for door mounting.